I have an uno r3 clone in an enclosure and one of these usb ports on the enclosure. It's pretty tight in there so I was wondering if there was a way to bypass the usb port on the board and plug it in directly to the pins. So do something like plug the usb into the outer port on the enclosure and then cut off the usb end and plug the wires directly into the board rather than using the onboard arduino usb port. The group of 4 just above the i2c seems promising but couldn't find much on it. You will have to (optionally) desolder the existing USB socket and solder the wires to the pins where that socket was on the board. It connects directly to the pins of the CH340G surface mount chip (rectangular one by the USB socket) and soldering wires to those pins would be tricky. The USB actually goes through the 16 pin chip that will translate the USB to serial to the RX and TX pins. None of the external sockets or plated through holes are connected to the data lines of the USB port. You are better off soldering the wire to the pins on the connector itself. Or try and find a proper wire with the correct connectors. Not the answer you're looking for? 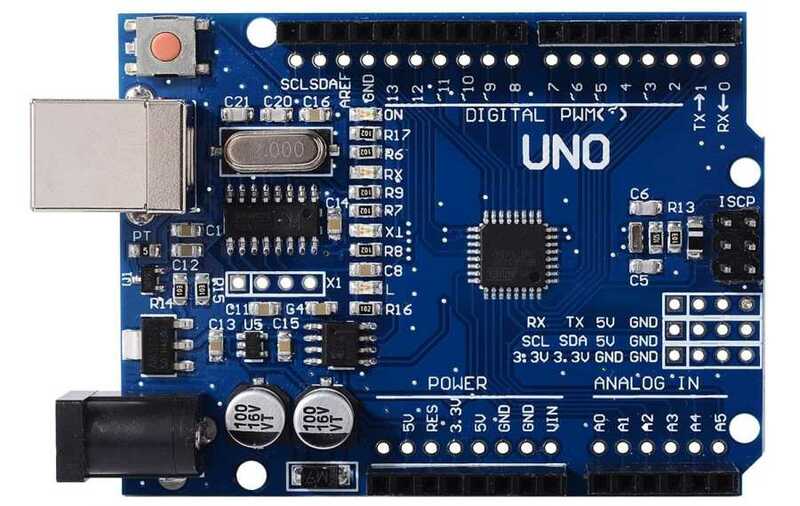 Browse other questions tagged arduino-uno usb or ask your own question.